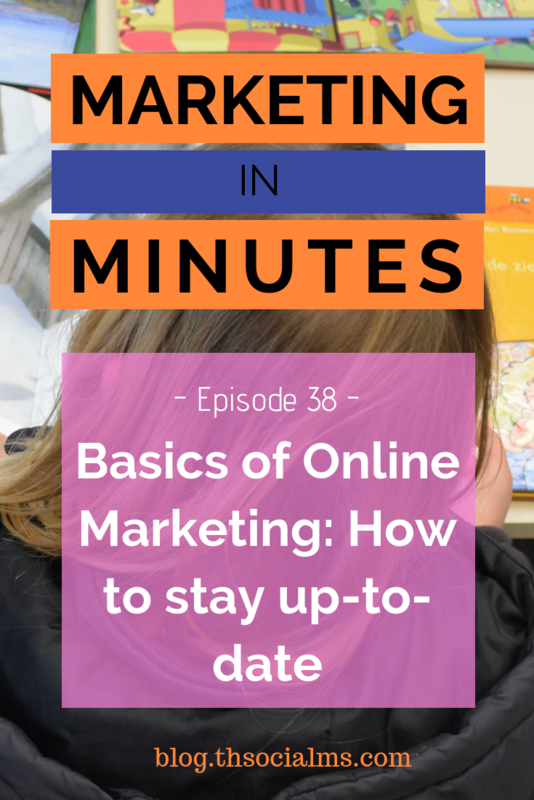 Do you find it hard to stay up-to-date with online marketing? All you need to understand are the Basics of Online Marketing and the current trends. 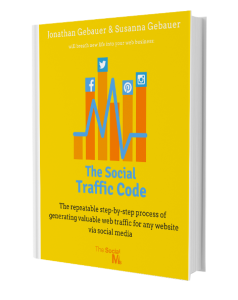 For a complete marketing strategy – including FREE traffic, leads, and sales, see our book, The Social Traffic Code. Does it seem impossible to stay up-to-date with modern marketing strategies and tactics? Then, this episode is for you. I’m Jonathan Gebauer and today, let’s talk about how to stay up-to-date with modern marketing tactics and strategies. When you first start with online marketing, you can easily feel overwhelmed. And there is no doubt about it – there is a lot to learn. But that isn’t really because online marketing is so complicated, but because most of us really don’t know much about online marketing before we have to do it. The more you know about marketing and the more you constantly work with marketing and read up on it, the more you realize that growing your skillset is pretty easy. When I first started doing marketing myself, it wasn’t because I wanted to but because I had to. I had just founded an internet startup together with my sister – and yeah, that story has been told on this podcast before. My sister Susanna and I founded a publishing platform called exploreB2B back in 2010. It was a venture capital funded business, and we thought we would just hire someone to do our marketing. We were heavily invested, but it turned out that hiring someone who already knew how to do marketing didn’t work. We had to learn about marketing ourselves. We read everything we could, we started to come up with our own marketing strategy and tactics, and we grew our business. And when we finally had to give up exploreB2B, it wasn’t because of marketing failure. I’ll link to a blog post with the full story in the show notes. And yeah, that is right, our first business failed – but if our story can tell you anything, then it is that success can be achieved at any time and any situation. And that mistakes are there to embrace them and learn from them. Go ahead and read the post I have linked in the show notes for more! The beauty of modern online marketing is that in a limited amount of time everyone can learn enough about it to market themselves or their own business. But that also means you have to put in the work to learn enough and the work to actually do it. But that’s easier then you think! Online marketing is what you call: Easy to learn but hard to master. Most strategies you learn about actually don’t change that much over the years. Take a look at SEO for instance… Sure, it changed a lot when Google was started, but that was back in the Nineties. Since then, the same principles still apply. SEO hasn’t changed that much for years. The general principle is still content creation for keywords and building links. Sure, there are a lot of fine details to it – and I’ve already created podcast episodes about those details. But the overall strategy doesn’t change at all. The same holds true for social media marketing, advertising, content marketing, email marketing, and all other parts of online marketing. While there are changes in the tactics and how they are applied, the general principles stay the same for a really long time. Which means that if you learn and understand the general principles of each of those strategies, you’ve already come a long way. And all of those general concepts aren’t that hard to understand – I will link to a few articles teaching these concepts in the show notes. You can learn these basic concepts in a week. That doesn’t mean you can become an expert in an afternoon, but you can learn enough to understand what an expert talks about. And that is a big step. Now, when I say that the basics of online marketing don’t change that much with time, that doesn’t mean that online marketing stays the same. Quite the contrary – while the basics stay the same almost all the time, the actual tactics you should use today can change any minute. Which brings us to the second part of staying up-to-date with online marketing: Learning what works right now. Today! Not yesterday, not last week, not last year. But this part is the same for all online marketers. Including me, if I don’t pay attention to the current trends, I’m out of the game! When you’re working with online marketing in any niche, what you need to do is stay up-to-date with the latest trends. While the fundamentals of online marketing don’t change very often, the actual tactics change quite a bit. Let me give you an example: Let’s look at SEO. While the fundamentals of SEO don’t change that much over time and the basics of SEO are mainly using keywords and building links, the actual ways of building links to your website change quite a bit. In the early days of SEO after Google was first released, the easiest way of building many links to your own website was spamming the web with links using free to use forums for instance. That tactic was a threat to Google’s algorithm because it was too easy to do and the links built this way weren’t an indication of the quality of the content they linked to. So Google adapted their algorithm and fixed the problem – these links became unhelpful for SEO. Currently, the best ways of building links to your site are tactics like guest blogging or the broken link strategy. I will link to articles explaining these in the show notes as well. But for this episode, it’s only important that you know how fast things can change! It’s the same in any area of online marketing – trends are what people have found to be working right now, and what allows you to come up with your own strategies that work for your business. Because that is what you get by knowing the basics and the trends: The skill to come up with tactics derived from current trends, that work for your business in particular. If you are willing to learn the basics of online marketing and then set stay up-to-date with the current trends in online marketing, you are well set to become a marketing pro. The beauty of this is that this makes online marketing a relatively level playing field. Even pros like me have to constantly stay updated on the latest trends and derive their tactics from there. If I don’t do that constantly, I will get behind just like anybody else. That was all I have for you today – if you want to learn more about the basics of online marketing, take a look at the links in the show notes – you can find them at blog.thesocialms.com/MiM-38. That’s blog.thesocialms.com/MiM-38. And for a complete marketing strategy that you can use, adapt to your needs and build massive traffic to your website with, take a look at our book, The Social Traffic Code. If you liked this episode of Marketing in Minutes, subscribe and return for the next episode – and please leave a review on Apple Podcasts if you can, it really helps us reach more people! Until next time, take care, Bye!